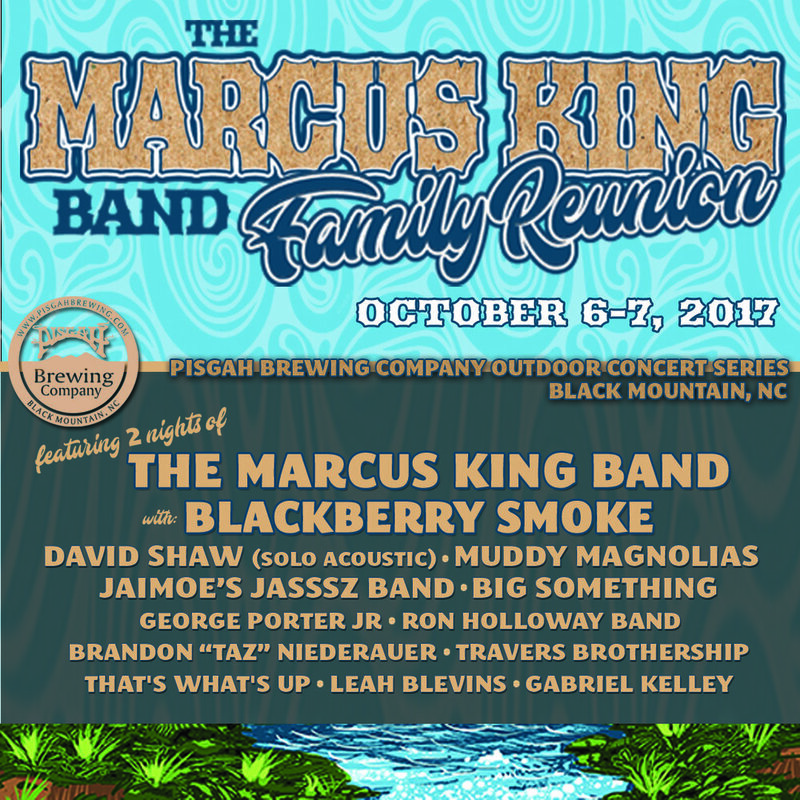 Tickets for the inaugural The Marcus King Band Family Reunion are officially ON SALE NOW! Join us October 6+7 at Pisgah Brewing Company in Black Mountain, NC for two days of music, games and fun with Blackberry Smoke, David Shaw, Muddy Magnolias, Jaimoe's Jasssz Band, BIG Something, George Porter Jr., Ron Holloway Band, Brandon "Taz" Niederauer, Travers Brothership, That's What's Up, Leah Blevins, Gabriel Kelley and more! Early Bird tickets have sold out, so don't wait, GET YOUR TICKETS NOW!